This page is used to submit and discuss edits for Billy Sass-Davies in the sortitoutsi Live Data Update for Football Manager. Enabled DB 19.3 Billy Sass-Davies has been transferred to Crewe Alexandra. Billy Sass-Davies now has a contract of £250 per week until 30th June 2019. Disabled DB 19.3 Billy Sass-Davies has been transferred to Crewe Alexandra. Billy Sass-Davies is now on loan to Altrincham until 31st May 2019 paying 100% of wages. Disabled DB 19.0 Billy Sass-Davies has been transferred to Crewe Alexandra. 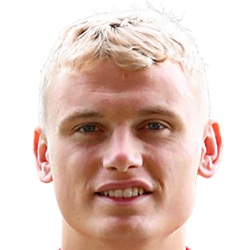 Billy Sass-Davies is now on loan to FC United of Manchester until 30th June 2019 paying 100% of wages. Billy Sass-Davies is now on loan to Leek Town until 30th June 2019 paying 50% of wages.